As Tara O'Brady handed me a copy of her cookbook to borrow for work a few weeks ago, she slid me a silver tin with it. Inside was a good one-third of a pie: a walnut oat cherry butter tart pie, the recipe for which can be found in her book, Seven Spoons: My Favorite Recipes for Any and Every Day. And with it came an apology. It was Thursday. She made the pie on Tuesday and was sorry the crust might not be as flaky as it was a couple of days ago. I waved off her caveat, and looked forward to a quiet moment that evening to tuck into it and the pages of her absolutely stunning debut as an author. I first met Tara about four years ago over lunch where we talked blogging — everything from ethics and the importance of recipe testing to our writing process and our discomfort with taking money for posts. From there, a friendship grew. It was validated a few times a year over hot stone bowls of bibimbap at the local Korean joint, where in the last few months, talk centred on her book named after her 10-year-old website, which I hold as the standard in food blogging and writing. Tara is a brilliant scribe, who has perfected that most writerly rule 'show, don't tell.' Still, she was nervous about the book's release. How would it be received? Was her photography good enough? (It's amazing, by the way). Were all the i's dotted and t's crossed despite the number of eyes going over drafts and page proofs? I could relate to all of it and empathized. Writing is soul-baring — and soul-bearing — work. I hoped to reassure her because I knew then — as anyone who knows Tara would also be aware — that her worry would be for naught. Today, nearly two weeks since its release, Seven Spoons holds fast to the often fleeting title of bestseller on Amazon. Praise has rightfully come from high places, with endorsements from Chris Nuttall-Smith, David Lebovitz, Bonnie Stern and Molly Wizenberg. And I am thrilled for her. Not only did she spend nearly two years labouring over a cookbook that reads more like literature than a culinary textbook, she makes a pie that even after two days, has a crust that still crumbles and is salve for the soul. As with the book, I don't know what she was worried about. There are pies straight from the oven that don't have a crust near as good. And there are cookbooks who long to be what Seven Spoons is. It's thoughtful and chatty, personable and literary. It demonstrates a knowledge of food that comes only from years of paying close attention to its behaviour in soup pots and roasting pans, and how nicely it may or may not play with other ingredients. Tara's understanding of food culture makes what she reluctantly calls an "eclectic" mix of recipes a show of respect and reverence for how she — how we — eat. Have a listen if you'd like to hear more about her food philosophy. This is from an interview I did with her, over a bowl of hot stone bibimbap for my column. I tried my hand at her Everyday Yellow Dal, about which she has strong opinions. (Any Indian does, she told me). I got fancy and made the tomato tarka variation and discovered a new comfort food in the process. I prepared her halloumi with chermoula, the perfume of toasted cumin and coriander, and smoked paprika making me swoon just a little every time I breathed it in. The scent was as warm and engaging as the book that inspired it. My husband and mom raved when I finally placed both dishes in front of them. "I love this Chernobyl," my mom said emphatically. "It's chermoula, Mom," I'd correct her. We'd go through the same motions moments later when she reached for another helping. 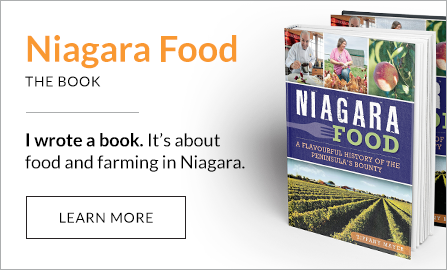 The book is a keeper and it includes many nods to Niagara, which is home to Tara. My mom, who at most may want to borrow my other cookbooks, wants a copy of Seven Spoons to herself. My mom stopped buying cookbooks years ago and has purged much of her collection over several moves in the last 10 years, so this is quite a commendation. Despite our zeal with which we ate our dal and halloumi, we took our time with that meal, not really wanting bowls and plates to empty too soon. 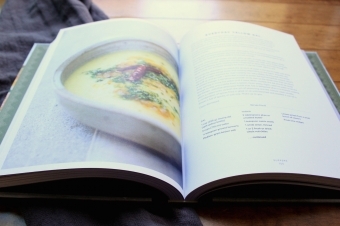 Speaking of taking one's time, Tara was first approached about writing a cookbook in 2010. She turned down the offer, feeling the need to further hone her perspective on food. 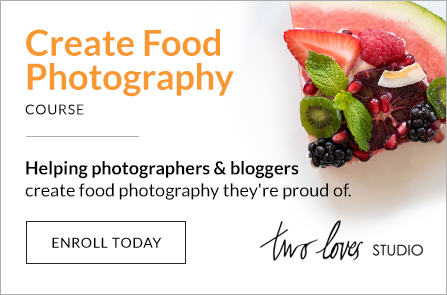 At a time when it seems nearly every food blogger is gunning for the cookbook contract, it's impossible not to respect a writer with such self-awareness. Hear Tara talk about why she waited Every time I leaf through Seven Spoons, which is often because I'm drawn to its sheer beauty and recipes being what they promise, I'm happy the wait is over.